Being a Muslim for the first year I was a little bit afraid before my very first fasting in Ramadan. As I was a person, who had never fast before it was difficult for me to imagine how to spend a day without food and water. The situation was compounded by my close relatives and friends: everybody wanted to express his personal opinion about meaninglessness and absurdity of exhausting an organism, harmfulness of staying without food and drinking for long. They used to convince me that I will not be able to study efficiently during Ramadan. Nevertheless, the more they tried to reassure me the more determined to fast I was. But in fact, it was not hard at all; it was much harder to fast far from close people, without sharing the atmosphere of celebration, joy and happiness. I had to create a celebration myself every day. Ramadan is a wonderful time when one wants to do something good: to feed somebody, to help or just to share a good mood. A Muslim feels especially great when he meets a brother in Islam in a nonmuslim country and shares with him happiness of Ramadan. Every time after returning home from market when I started unpacking my bags I used to find small presents from Muslim salesmen. And even if it was only one peach it was extremely pleasant and I wanted to do something good to somebody too. As for nutrition in Ramadan the first some days appeared to be the hardest: it was difficult to control amount of eaten food during Iftar. 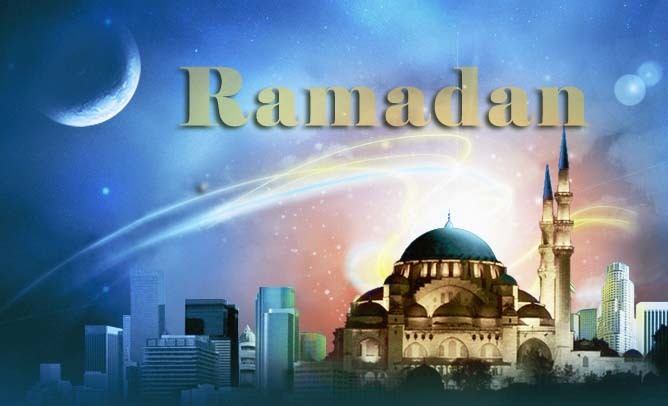 Before accepting Islam I heard from non muslims: “Muslims don’t eat and drink during the day time but at nights eat to heart content!” Of course such understanding of Ramadan is wrong. But the fact is that controlling himself during Iftar is a big problem for those who fast for the first time. Having got a stomachache and disability to do anything after my first Iftars I started thinking seriously about a right diet in Ramadan and remembered about Sunnah of the Prophet Muhammad. According to the Prohet’s (PBUH) example one should break his fast with dates and if there are no dates then one should drink a little water. After breaking the fast this way the Prophet (PBUH) used to pray Maghreb and only after this take his meal. The Prophet (PBUH) said: "When one of you breaks his Saum (fasting), let him break it on dates; if he does not have any, break his fast with water for it is pure.'' (Abu Dawud). After following this example I understood that such approach is the best for Iftar. Appetite is dampened after a few dated (or dry fruits) and praying. And instead of eating everything what is on the table one can control amount of food he takes. So, the following days of fasting were easy and beneficial for me. 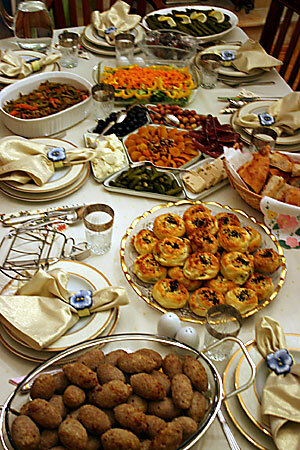 The issue of nutrition in Ramadan is very important undoubtedly but Ramadan is not only about food. This month is much more than abstinence from eating and drinking. One of my colleagues once asked me, “Don’t you eat anything at all? Don’t you eat even a little when no one can see you?” Her question made me laugh. I had to explain to her that fasting is not abstaining from food and drinking to show off; Muslims fast for the sake of Allah; they keep their mind, hearts, tongues, eyes, ears far from sinful actions. Nothing can be compared to blessing which believers achieve during Ramadan. Only believers can understand that fasting is not only abstaining from food, it is a complete devotion yourself to Allah, it is search for blessing in every minute of this Holy month, and competing in doing good things. I think it was one of the happiest moments for me when I learned a small sorah from Quran during one of Ramadan nights. It was a great achievement for me at that time as I did not know reading Arabic and was learning Quran by listening and reading from transliteration. Learning sorahs by heart was quite difficult for me but during Ramadan there was inspiration and I could do it quickly and easily. And how wonderful the prayer is when you recite ayats you have just learned by heart! In al Sahih al Bukhari and in al Sahih Muslim there is a hadis where it is said: “The one who fasts, experiences two joys: he feels pleasure when he breaks the fast. 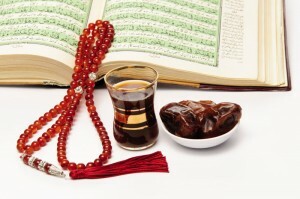 He is joyful by virtue of his fast when he meets his Rubb.” During my first Ramadan I knew both of these joys! I learned how to control my emotions, wishes, body; I worked about my patience. I understood that before Ramadan I used to waste my time. Instead of stimulating mind, reading, studying I used to spend my time in front of TV watching series, listening to music and talking over the telephone. In Ramadan all these things paled into insignificance. I was learning Quran, reading, praying a lot; I have got an intention to attend lessons in the Islamic centre and I turned it into reality after Ramadan. I feel pity for those Muslims who neglect Ramadan. They intentionally ignore all its blessings. And there is innumerable reward for believers from Allah for each minute of this blessed month. Each minute is precious and will not come back.